I love creating looks out of key pieces in my closet. 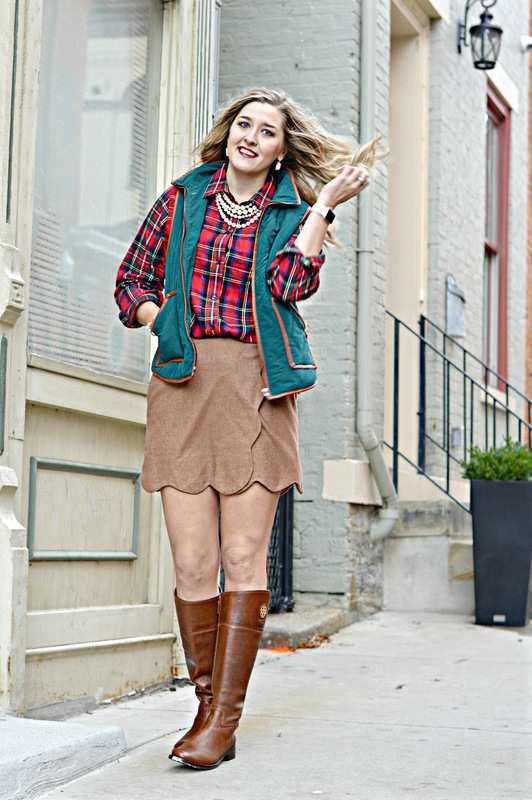 This scalloped skirt was an awesome thrift score and I have created so many looks from it! My most recent favorite is this holiday inspired look. This fall, styling it with a fun ruffle sleeve sweater was my favorite outfit combination that required minimal effort. Love the white ruffle sleeve sweater! Thats gorgeous on you!